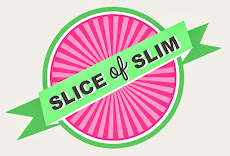 Slice Of Slim: HAPPY NEW YEAR ! I'm signing off for this year, so here are some celebratory chocolate-dipped strawberries to remind us all that we can keep the joy of food alive in low-fat foods. Hope you all have a wonderful New Year and look forward to inspiring you all in 2013 with loads more tasty ideas and fun creations!